Let us go a few years back (remember the pre-iphone era? ), none of us imagined we would live in a world full of connected devices. Did we? Today, we are living in a world where your refrigerator would text you saying, ‘Hey! I am running out of Apple Juice. Please bring some while coming home’. Just imagine, such an effortless life our ‘near’ future holds. And, this would all be made possible through our own ‘data’ and connected devices! Companies have recognized the immense business value which can be delivered using data. Google, Amazon, Facebook, Baidu are just some of the companies which have made investments in data products such as self-driving cars, voice / image recognition, wearable devices etc. This has caused a huge demand of skilled professional in data related jobs around the world. Job profiles such as Data Scientist, Data Analyst, Big Data Engineer, Statistician are being largely hunted by companies. Not only they are being handsomely paid, but a career in analytics has much more to promise. Analytics Vidhya in association with Jigsaw Academy has created this salary report. We have interacted with more than a million data science professionals across the globe over the last 12 months. Through these interactions, we inevitably get a flavor of changes happening in analytics and data science industry. We are excited to launch our first ever Salary report for India. We believe that this report should bring out a lot of interesting trends about Analytics industry and its evolution in India. We believe that this is the first time, when a study like this has been done at this scale (spanning more than 60,000 analytics professionals from India) and this should help people making critical career decisions about their future. Why is this report important ? 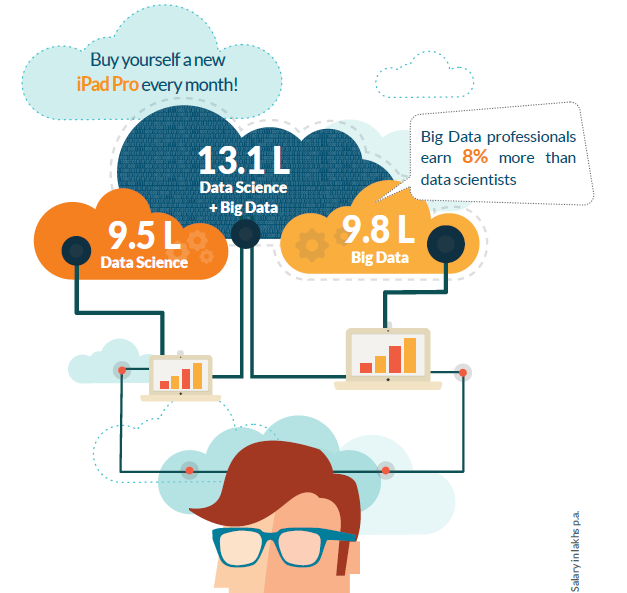 After the U.S., India has the largest demand of analytics / big data / data science professionals. Amidst such demand, people find themselves confused to select an appropriate job profile for the best future. And, many such question which you would have asked yourself at some point in time, this report has answers to all of your ingenuous questions. 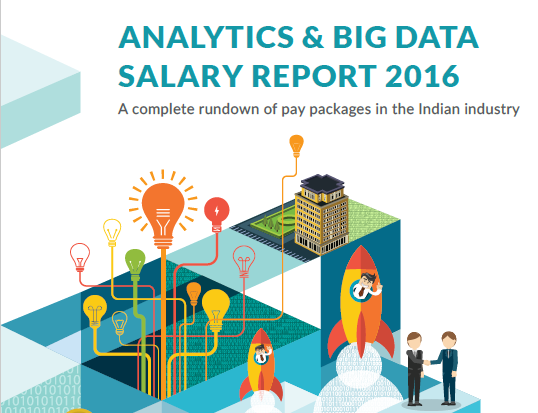 This salary report is exclusively designed to give you a clear picture of analytics industry (job specific) in India. This will help people to understand the current trends in jobs, salaries, skills, locations prior to taking any job related decision in analytics. R is still the most used tool in analytics industry. No doubt, python is catching up fast. Hence, it is highly recommended once you have gained significant knowledge in one tool, move to the next. These days companies look for varied set of skills and talents. Predictive modeling combined with big data results in a formidable combination of skill set. A candidate with Big Data and Data Science skills earn Rs. 13.10L yearly as compared to a candidate with only big data skills who earns Rs. 9.80 L yearly. Good news for people staying nearby Mumbai ! Yes, your city pays the highest amount of salary to a data scientist. 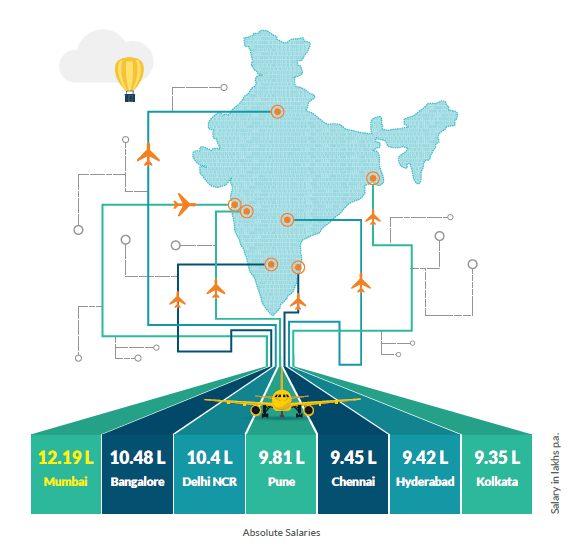 So, if you live nearby Mumbai, you should look for jobs in your city instead of thinking of relocating to a new city. For more insights, you can download the complete report. The data points include people who came into contact with Analytics Vidhya through our website, job platform, hiring competitions and other sources. This number also includes, but is not limited to, people applying for jobs on the Analytics Vidhya website, confidential searches, hackathons, and tie-ups with skill-enhancement partners. People with only advanced analytics / data science skills were considered for the study. For example, people who were only experienced in MIS have been excluded from the study. Once filtered, the skill sets of the survey participants were appropriately categorized in order to gain insights into the data. The findings are open to biases arising from the nature of the jobs / competitions hosted on Analytics Vidhya’s website. However we believe that even with this bias, this first-of-its-kind study of the Indian Analytics industry and the thousands of analytics professionals it employs, reveals many fascinating ground realities. Please，I’m waiting for the report! May I request you to please mention which all skills encompass the Data Science and Big Data as mentioned above. Based on what experience scale these salary report is generated? HI the salary mentioned here is for how many years of experience. For 4 years how much salary they paid in Hyderabad? i am having 3 years experience in business intelligence domain working with Datastage , SAS, Hadoop, Python MR scripts. If i start trying outside what salary package i can demand in general for my work experience.